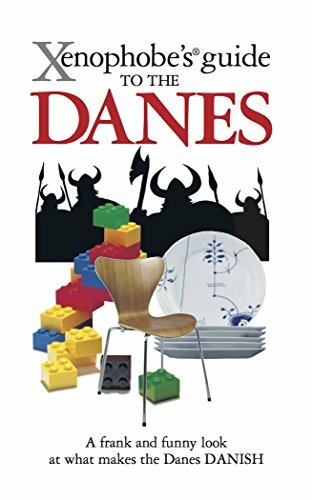 "A frank and funny look at what makes the Danes Danish"
Illuminating insights into their character and quirks." I've read a few pages and I find it pretty interesting and funny. A mostly funny and interesting book, although a few topics bored me a bit. I got some good laughs while reading! "Deep down Danes believe that being Danish is a privilege and makes them special. They say that if Scandinavia is a bowl of rice pudding, Denmark is the 'smørhul' - the golden hollow in the middle, full of melted butter. Ask them why , however, and they are unlikely to be able to string together enough positive adjevtives to convince you. Sentences containing more than two such words promt most Danes' innate 'anti-brag' filter on kick in. Positive words used by youngsters to mean 'cool' include fedt (fat) and sej (tough), both of which can be applied to bacon." A bookring book has started its journey!